Rose, walked Mix, breakfasted and then met up with Tom who joined me in sorting out the carpet in the barn. We didn’t really do a great deal but after the running around of recent weeks it has been good to have a gentle day. David arrived just as Tom was setting off for lunch with Dorothy. David and I enjoyed a coffee in the Granary. 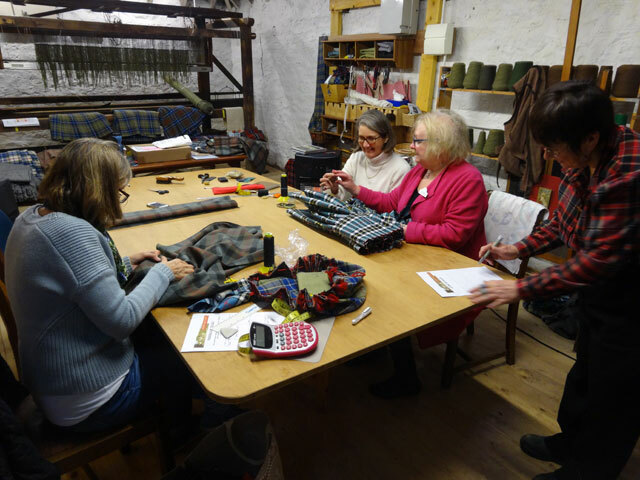 It was not without difficulties – the summerhouse was out of commission because the heater had been taken to augment the two heaters in the Stables as Anne and Rachel were running a kilt-making course today. And in the Granary the kettle has disappeared, taken, no doubt, to the Stables to enable the kilt-makers to have coffee. However, we managed. After lunch, David went off and Tom returned and, in addition to pottering with the carpet (it is now ready for Rachel to make a final cut tomorrow), we blethered and put the world to rights. In a day which had elements of French farce about it, no sooner did Tom leave than David returned and it was time for more coffee. The kilt-making course came to an end for today and I transferred the heater back to the summerhouse, much to Mix’s delight. We all ate in the farmhouse, Mum had considered going out this evening to a charity fund-raiser but decided against it, not least because she has been out for much of the day at a book reading club in, I believe, Berwick. I was glad not to be going out tonight. It is raw and cold and everything here is extremely muddy. I dozed in the lounge while Rachel watched a programme about choir boys and girls at Salisbury Cathedral, then I saw a bit of ‘Have I got News for you’ before the News and Newsnight. I was interested that Nicola Sturgeon has unveiled her first cabinet and to see both the gender balance and the mixture of experience and fresh talent she has brought to her cabinet. I was enormously impressed by the way that she dealt with her first First Minister’s Questions yesterday. I hope that she is able to continue to build consensus – that requires good will not just from her but from others as well. I was glad to get to bed.